Some extra help around the house is always good, especially if you have the option to delegate tedious and time consuming chores like ironing to someone else. We know that most people view ironing as annoying, even frustrating chore and would be more than happy to not deal with it at all. More so, ironing requires a certain amount of skill and expertise as different garments and fabrics respond differently to ironing. In light of this, we offer our domestic customers a specialised ironing service available in Reading RG1 as the better, more efficient and sensible alternative to spending half the weekend in ironing clothes. The ironing service in Reading RG1 will also surprise you with moderate service costs, and give you lots of versatility. For extra customer convenience, we also offer fixed schedule ironing available in Reading RG1 ­– the easy and affordable way to get out of ironing once and for all. 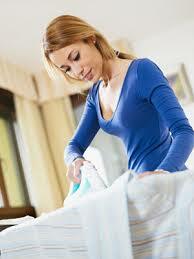 The frequency and duration of the ironing visits will depend on your personal preferences and availability. The service is available for booking under flexible hours, including evenings. 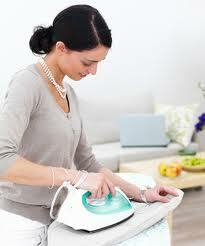 Ironing is booked for all days of the week, including Sundays and public holidays. Cost wise, the service is adequately priced and won’t leave a dent in your household budget. All ironing will be completed within the agreed amount of time.